BOOM! Studios is proud to announce OVER THE GARDEN WALL: HOLLOW TOWN #1, beginning a new five issue limited series set in the world inspired by the Emmy® Award-winning Cartoon Network animated series Over The Garden Wall. 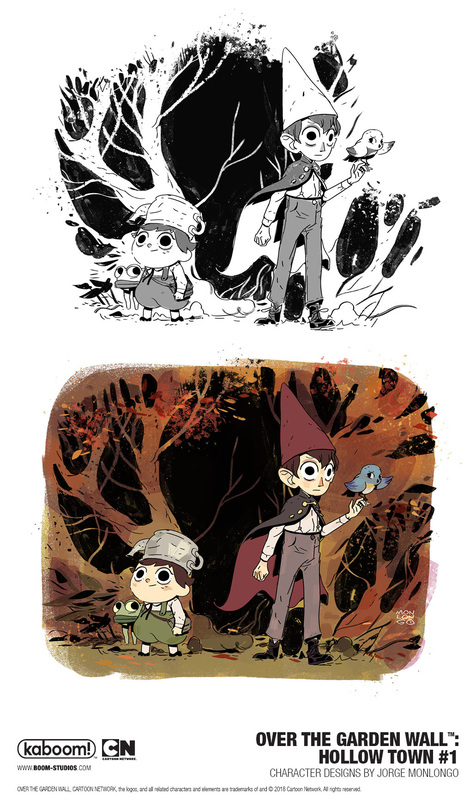 OVER THE GARDEN WALL: HOLLOW TOWN is the latest release from BOOM! Studios’ award-winning KaBOOM! imprint, home to comics for middle grade and younger readers including licensed series such as Adventure Time, Steven Universe, Peanuts, and Garfield, along with original series like Mega Princess by Kelly Thompson and Brianne Drouhard, Bodie Troll by Jay Fosgitt, and The Deepby Tom Taylor and James Brouwer. 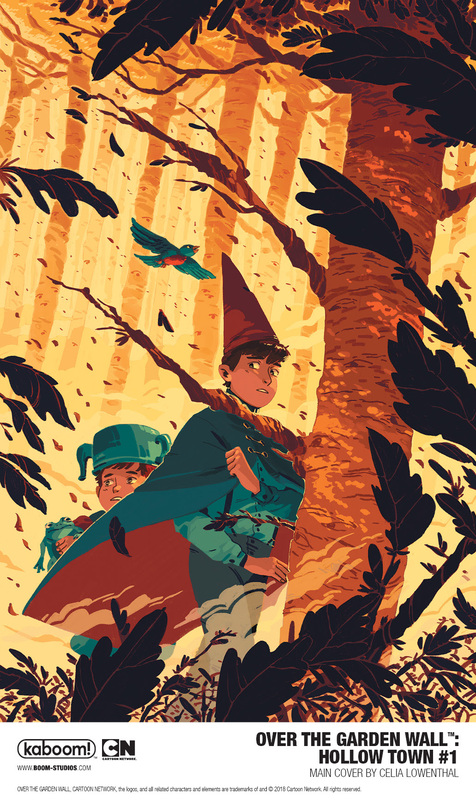 Print copies of OVER THE GARDEN WALL: HOLLOW TOWN will be available for sale in September 2018 at local comic book shops (use comicshoplocator.com to find the nearest one) or at the BOOM! Studios webstore. Digital copies can be purchased from content providers, including comiXology, iBooks, Google Play, and the BOOM! Studios app.